The campaign organisation of the candidate of the opposition Peoples Democratic Party (PDP), Abubakar Atiku, has described the plan by the federal government to sell some public asset to fund the 2018 budget as irresponsible. The government had announced a couple of months ago that it intended to raise N289 billion from the sale of 10 public assets to fund the budget. But on Wednesday, Mr Atiku’s campaign organisation lampooned the decision as ridiculing President Muhammadu Buhari, who had accused the PDP of failing to build public infrastructure in the 16 years it was in power at a lecture in Lagos earlier in the week. The organisation, which claimed that most of the asset listed for sale were built during successive PDP-led administrations, wondered what asset the government was planning to sell if as the president claimed, the PDP did not build any infrastructure while in power. The organisation claimed that some of the asset listed for sale were the creation of Atiku, when he was vice-president and head of the Economic Management Committee during the Obasanjo administration. According to the campaign organisation, rather than sell public asset, what the government needs to device alternative means of revenue rather than its almost complete reliance on the proceeds of oil and cutting of recurrent expenditures. 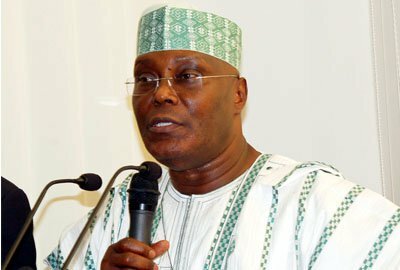 “We knew that such a day would come, which is why His Excellency Atiku Abubakar has on various occasions made it clear that what is needed at this time is fundamentally fiscal restructuring to eliminate our addiction to oil revenues and strengthen our internal revenue generating capacity and a restructuring of the budget in favour of capital spending, the statement explained. It also tongue-lashed some of the government’s recent fiscal decision which favours spending money on some of its social intervention programmes. The campaign organisation added that at the core of agenda of Atiku is the creation of national asset rather than selling them off like the incumbent administration plans to do.